First Presbyterian Church is a mainline Protestant church committed to our Presbyterian heritage and its theological tenets: the sovereignty of God, the Holy Scriptures as the rule of faith and practice in the Christian life, the priesthood of all believers, and salvation by faith. We also embrace the revolutionary and independent character of our religious ancestors who not only courageously stood for the ideals of the Christian faith at the time of the 16th century Reformation, but who were also the backbone of the American Revolution, defending freedom and resisting tyranny. Today we carry this same spirit forward with a commitment to represent the values of our Lord in a world in need of the values of our Lord. If you are looking for a church home, we hope you will join us soon on Sunday morning and become a part of our church family. 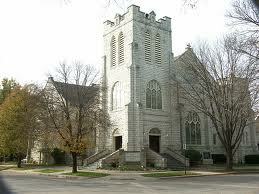 If you have a question about any aspect of the life of First Presbyterian, please contact me. It would be great to visit with you!